Ready to purchase a used SUV, but aren’t sure which make and model is right for you? Buying used is a great way to save money and still get a quality vehicle, especially if the SUV you purchase has only had one or two owners. But some SUVs hold up better over time than others. Here are ten of the best used SUVs on the market today. The GMC Acadia has been around since 2007, but it’s the 2014 model that is the best used version. The NHTSA gave the model a 5-star safety rating, making it a perfect fit for families. It can also seat up to eight, so there’s also plenty of room for your friends or for a lot of luggage. This model offers a 3.6 liter V-6 engine that delivers 288 horsepower. If you’re looking for a model that can go off-roading, be sure you purchase the all-wheel drive model; front-wheel drive was the standard. The Chevy Tahoe has always been a strong workhorse of a vehicle with its 5.3-liter V8. Like the Acadia, the Tahoe can seat eight or, if you find a used one with the bench seat in the front, you can add one more person to your trip. Of course, SUVs generally aren’t so great on the gas mileage, but the Tahoe is still rated for 21 mpg on the highway. The 2010 Tahoe offers just a little over 108 cubic feet of cargo space, too, so even if you have nine people in your vehicle, you’ve still got room to haul things. If you’d like something a little more luxurious, the 2013 Acura MDX might catch your eye. This luxury crossover was one of the IIHS’s top safety picks in 2013 thanks to items such as its Collision Mitigation Braking technology, blind-spot warning alarm, and adaptive cruise control. When you add in its towing capability, cargo space, and ability to hold seven, it’s no wonder it’s one of the most sought-after used vehicles. Don’t let the age fool you, the 2009 Saturn Outlook has a reputation for its safety and family-oriented options. It seats eight, so even large families have all the space they need here. It also contains 116 cubic feet of storage in the back. Under the hood you’ll find a 3.6-liter V6 that’s more fuel-efficient than you might expect. Overall, the Outlook handles better than some of its competitors and even a bit better than some recent models. Many critics have called it a great option for those who need a minivan, but don’t want that Soccer Mom look. Just because you’re on a budget doesn’t mean you can’t afford to drive a nice luxury car. The 2012 Buick Enclave is one of the more affordable used SUVs on the market. With its high quality, upscale interior, you’ll feel like you’re driving a much more expensive vehicle. It includes Bluetooth and tri-zone climate control standard, along with a V6 engine. It also offers 115 cubic feet of storage, which is one of the largest storage spaces among its competitors. Even its gas mileage isn’t bad, hitting 17 mpg in the city and 24 mpg on the highway. All this combined led to U.S. News naming it their Best 3-Row SUV for Families in 2012. 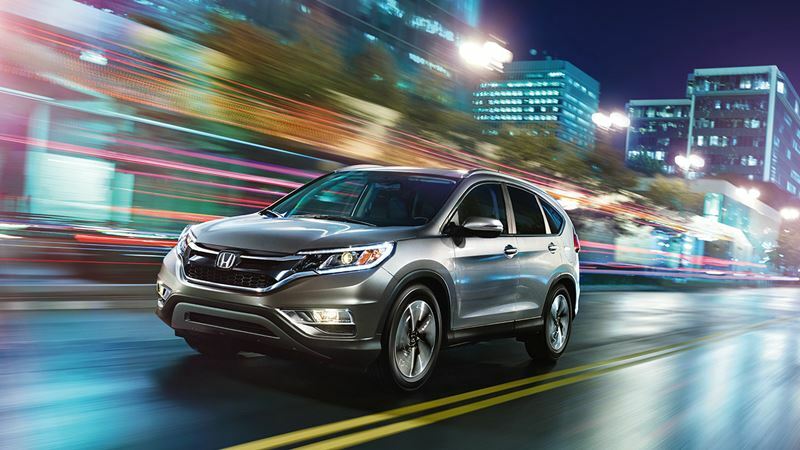 As the U.S. News 2014 Best Compact SUV for the Money, the Honda CR-V lets you get the most bang for your buck. It addition to a great price tag, the 2014 model was also rated as excellent in safety and reliability. The back seats can be folded down to add extra storage space, which is always nice. The standard model also includes Bluetooth, a rearview camera, and the ability to stream music right from your phone. Even better, it gets 23 mpg in the city and 30 on the highway, which is outstanding for an SUV. Don’t dismiss older models, either. The CR-V models from 2012 and 2013 were also highly rated. Many people assume they can’t afford a Lexus, but the 2013 Lexus RX is a very affordable used SUV. The entire line was redesigned starting in 2010 to improve the safety rating, dependable, and luxury. This model was actually the first SUV that J.D. Power and Associates named to their most dependable vehicles list. The RX 350 model holds five and is designed for luxury. It also features a 3.5 liter V6 that provides up to 275 horsepower. If you’d rather go for something a bit faster, the 450h bumps up its max hp to 295 and has a combined fuel rating of 30 mpg. Both models are good options for those who want a smaller, luxurious SUV. Some people prefer purchasing a used car that’s not too used. If you want a newer model that’s still very affordable and reliable, the 2015 Equinox is a great choice. This vehicle offers a spacious interior with a nice-sized cargo area. It comes standard with a Wi-Fi hotspot and Bluetooth capability, which is great for anyone working on the go. It has a nice fuel rating of 31 mpg on the highway and 22 mpg in the city, plus it handles quite well. Don’t let its age turn you off, the 2008 CX-9 is still considered one of the most reliable used SUVs available today. It has space for seven people and all their stuff, plus the standard model includes many of the most popular safety features. The CX-9 is also a good alternative to the minivan since it actually sits on a car platform, making it the first SUV to do so. This also gives it a better than normal fuel efficiency and a smoother ride. When all was said and done, the 2008 CX-9 walked away with several different awards, including North American Truck of the Year. The final SUV on the list is the 2010 Toyota RAV4. This compact SUV holds five, plus it has a good-sized cargo space. The standard option includes a four-cylinder engine, but that can be upgraded to a V6. There was also the option to add a third row of seats for those who needed more seating on a regular basis. You’ll find both options on many used vehicle lots. Overall, the RAV4 proved to be a very safe vehicle that was comfortable and functional without a lot of extras. If you want a used SUV, you can’t go wrong with any one of the above models. They’ve all proven their reliability, safety, and dependability over the years. And at Eden Autos, you will find many of these models among our extensive pre-owned inventory. In addition to putting every car through a compressive operational evaluation, all our cars come with a 5-Day unconditional money back guarantee, a free Carfax report, and a 3-Month or 4,500-mile Bumper-to-Bumper warranty. We also have flexible financing options to meet every customer’s individual needs. No matter what your current financial situation may be, our committed staff will help make sure you get the right financing to match your budget.